Some little gifts of daisy's and chives from the garden, picked for me by Elizabeth. Love seeing daisies in the grass this time of year.. my girls are constantly picking them for me too. :) Very sweet. Oh how pretty, I adore daisies - how lovely to have them in the house ... I'm going to have to go out with my littlest one and pick some right now - quick before the rain starts! 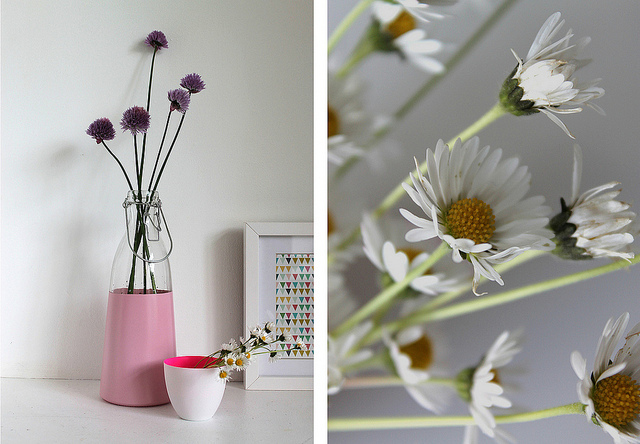 I love the pinks in these pictures, daisies look gorgeous! 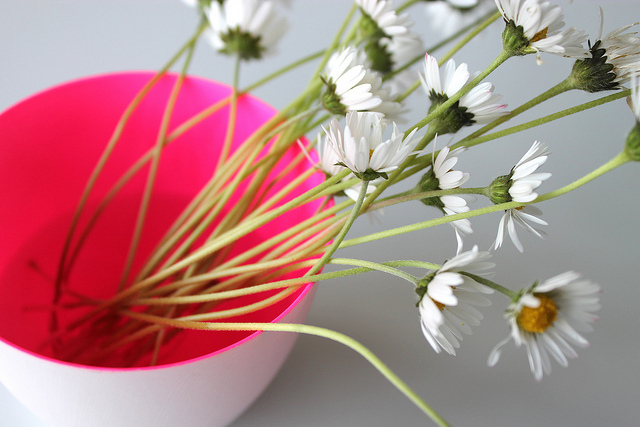 Lovely simple daisies and I really like the little neon pot! 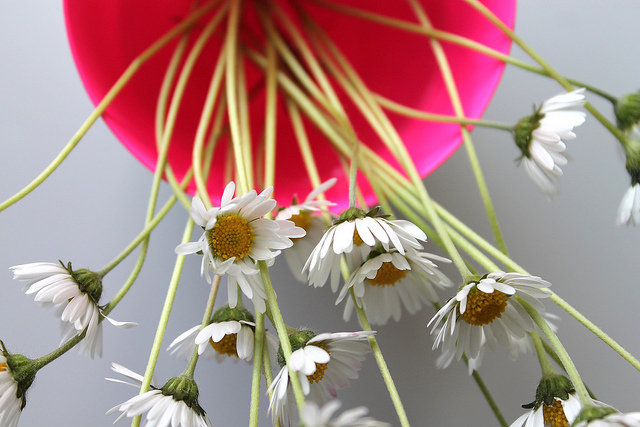 Beautiful daisies and great photography! You do take the most perfect photographs!